DESCRIPTION This gorgeous home offers numerous upgrades for the most discerning buyer. You will feel right at home with upgraded wide plank laminate floors, 9’ ceilings, large windows, contemporary lighting package, stainless steel appliances & lots of counter space including a large island adorned with quartz countertops & balanced out by the glass tile backsplash. Each upstairs baths have skylights and massive windows in both bedrooms. The master offers a spa like retreat in the ensuite & large walk in closet. The basement is finished & offers the 3rd bedroom and the 3rd bathroom as well as the laundry. This home is centrally located & is around the corner from Velo Cafe and Village Flatbread, is an 8 minute commute to downtown, walking distance to two dog parks, 10 minute walk to the C-Train station & a 6 minute walk to the nearest yoga studio and pub. Killarney Pool down the block on 17th Avenue and the shopping & entertainment district is the other direction, east, on 17th avenue & is a quick bus ride away. Home for sale at #1 1913 24 ST Sw Calgary, Alberts T3E 1S9. 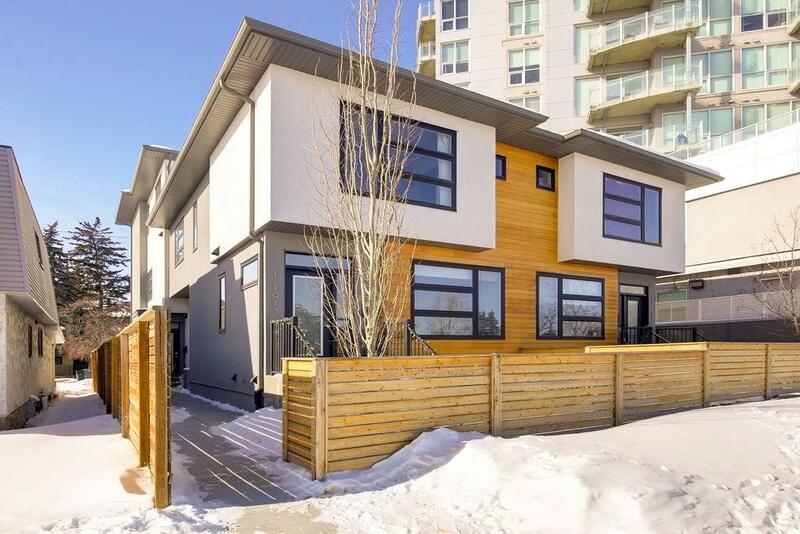 Description: The home at #1 1913 24 ST Sw Calgary, Alberta T3E 1S9 with the MLS® Number C4229864 is currently listed at $510,000.